What’s up everybody? Fred Lam here and welcome to our daily huddle episode number 36. First off, Happy New Year to all my followers! I hope that 2018 is going to be your year, the year that you are going to actually become prosperous and make a lot of money online. At the same time, you have to take care of your health and your family too. I wish you all the best this year. In 2018, I made a promise to myself to create more content and to provide more training for every single one of you so you can actually take whatever is inside my head and apply it towards your business so you can replicate the success that I have been having throughout the years of my life. Again, like I said earlier in 2018 there’s going to be a big change in what I am actually going to work on. As a matter of fact, later this month I’m going to release something pretty massive and it is all based around content. 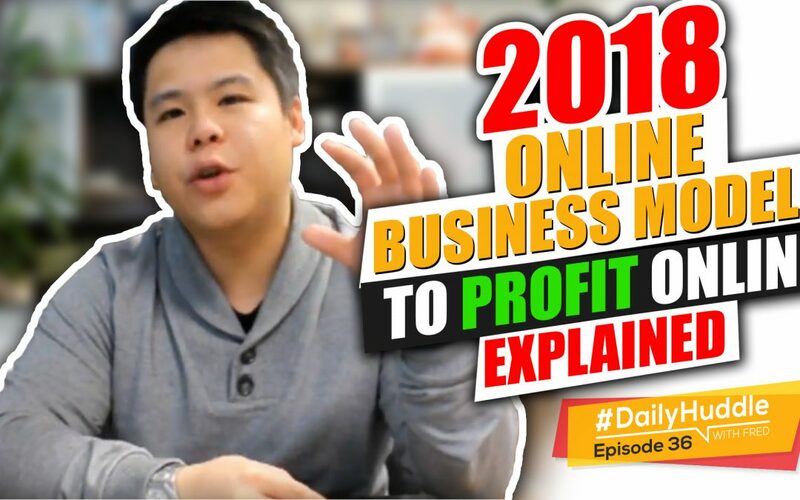 Everything that I basically know from buying traffic online, from business models to how to maintain a business, building up a team, everything that you need to know and everything in between it which you need in order to help you build, grow or scale your online business. Here’s also a very important thing, in 2018 I don’t want to just focus on the online business side of things. I also want to introduce some offline stuff to you guys as you know I have worked at BMW in my previous years. I have a lot of experience in retail so I’m going to combine a lot of different advertising and marketing strategies in 2018 and share that all with you guys. I also have to say at iPro which is one of my main companies; you are going to see some amazing content and some crazy software that we are working on right now. In 2018, there are a lot of things that’s going to happen with me and also with you. I built all these not because of myself, it’s because I want to inspire you. I want to give you the resources you need. I want to provide you everything that I can actually give to you so that you can take it and start profiting online, start seeing the success and escaping the rat race. Those are my intentions and that’s what I want to do but here’s the deal I want to make sure that I am being upfront and honest with every single one of you guys. In 2018, like I said there’s going to be a lot more content, a lot more video training that I’m going to release including the daily huddles, I’m going to do a lot more stuff or videos and training just for you guys. However, at the same time I have to be very truthful, honest and upfront as you guys all know you love my honesty and you love the fact that I always bring things up to you guys before anything happens. So, in 2018 there are going to be times that I’m going to ask you for an investment maybe a course, maybe a software or something that I truly put my name behind it and by that time you’re not obligated to buy any of those but when you do buy I do get a cut and commission. And that’s how I can actually afford to be here basically spend 30 minutes every single day and during night time where I spend an hour or two just to do that video training with for guys. What I want to basically bring out to you guys is if I ask you guys for an investment on something don’t go like “Oh my God, he is pitching me products.” It’s just that these are things that I firmly believe and I know that it can make a difference in your life and in your business so that way I bring it out to you. As you know, I rarely bring up this stuff to you guys and I rarely bring up programs, I don’t endorse programs or products or software or basically me selling you products every day. I’m not like those other people out there, I work giving you guys an opportunity and share with you guys what works and it is your decision to join or not. If you think that is fair, put in the word FAIR right into the comment on Facebook or right into YouTube so that I can actually see it. Again, I’m just doing this to give you guys heads up, letting you guys know all about that. Like I said, 2018 is going to be an amazing year. You’re going to hear a lot more from me. You’re going to get a lot more emails and videos from me and I’m doing all that I can to allocate my time with every single one of you. At the same time you know I have multiple businesses to run so sometimes I may miss a daily huddle which I did last Friday and I apologized. I had a personal errand that I have to run so I wasn’t able to come on live. So, a lot of people said fair and excellent, so I just want to get that out of the way so that we all are in agreement. Before we move into our daily huddle, I want to share with you my 2018 goals. Again, feel free to put or share your 2018 goals in the comment box below on Facebook or YouTube while I am sharing mine with you guys. The reason guys why I am asking you to type it out and share with me is if you actually spend some time and type it out, you would know that you are now accountable for the goals that you have set. It’s very important for you to actually have goals in place or milestones so that you could keep track of your performance and that you are actually moving forward and you are taking steps to achieve your goals and all those other stuff. With that being said, in 2018 here’s what I am going to do. In iPro, we are going to release two major software into the mass public which are going to help you with building, growing and scaling not just your ecommerce business but your entire online business. We have actually a huge team right now just to actually work on this project. I’m sharing this with you guys because this is very important software that every single one of you guys need. We are investing heavily into this so that you guys can actually get results from this software that we are releasing. My second goal is building a new business. Next week, I am introducing to the public market a new product line that we are creating. There maybe times that I’m going to share with you guys what we have been doing and what that product line is and use it as a case study. I’m actually building a new business and I am very confident that in the first year alone it should generate around $5 to 6 million in sales. That’s what my [inaudible 07:43] goal is going to be. My last goal which is very important and not business-related is more about me personally. I am making sure that in 2018, I’m going to start focusing on my health. Throughout the last several years I have been just all about work, hustling and just working ’til I drop. Obviously, I’m starting to get old, I’m getting into my 30’s this year so I need to actually watch my health so that I’m always at the peak of my energy. I’m going to start watching my diet, exercising and making sure that I’m always going to be in shape and not get ill so that I can be here with every single one of you. Those are my three major goals for 2018. Again, share right below if you guys want to tell me what your goals are because I think it is very important. Anyway, while those are coming in, I’m going to officially start our 2018 with our five questions for today. Obviously, I just realize that I lost my train of thought. When it comes to online business especially in 2018, there may be new ideas or new strategies that may actually surface. It happened in 2017 and it happens every single year. If we look at all the business models which are going to produce sustainability, profitability and scalability, there are actually only three forms of businesses that will work. And in 2018, I’m going to drill it even deeper down and share more about these three business models with you guys. The first one as you all know it is ecommerce. Ecommerce is not at its peak yet, it is still rising every single day. We have been getting a lot of amazing results from our students with ecommerce right now. I’m going to basically be the innovator to always share with you the latest strategies and things that we have been testing and relay those to you guys. As you guys all know I have a lot of ecommerce video training in my YouTube channel which you can watch. 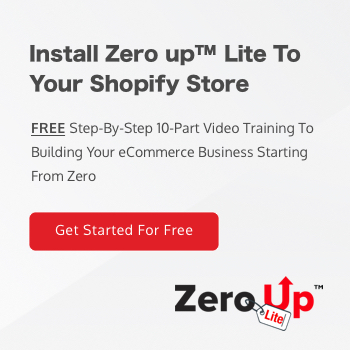 Go to my YouTube channel or go down on my Zero UP Lite 10-part video training series and start your ecommerce business. Again, like I said I’ll cover that a lot more. The second business model that I don’t really talk a lot about is digital publishing. iPro which is one of my main businesses is actually in that business. 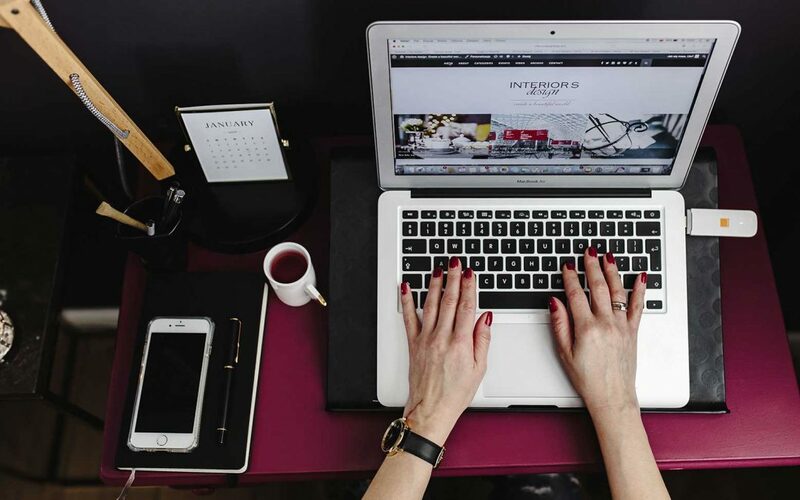 When it comes to digital publishing there are definitely several routes for you to actually take just like ecommerce, right? With digital publishing there are things like affiliate marketing, email marketing, creating your own course, software and online coaching programs. These are the five main things when it comes to digital publishing. Again, I would have to tell you, digital publishing will always work and it’s going to be a business model that is sustainable and can make a lot of profit. Also, at the end of the day it is very scalable if you have everything right. Most importantly there are a lot of elements inside digital publishing; email is actually a very huge one. If you were able to unlock and understand emails that really builds a lot of profit for every single one of you. Put in the word number two into the comment box if you guys want to learn more about digital publishing because we’re going to talk more about it this year. I’m getting bunch of two’s pouring in right now. The third business model that always work and in 2018 I would suspect it is going to actually grow is an agency model. If you can create an agency simply giving small businesses or basically providing services on what you learn from me or from other gurus on running Facebook ads, Google ads, Bing ads and social media campaigns, I tell you agency can make a lot of money. It is going to be very sustainable because at the end of the day not only you are able to actually charge every single month on running people’s campaigns, you can also charge for consulting. Here’s the best part, you can use other people’s money to gain your own knowledge while you’re running your own agency, and you can create your other online businesses at the same time. This is exactly what I’ve done when I have my agency. I run my agency while running my online business at the same time, so I have multiple sources of income. Again, in 2018 I’m going to share more about agency models, how you can create an agency if you have zero credibility, no one have heard about you, how to get clients, what are the packages or traffic secrets that you should be selling so that you can actually have those customers keep paying you thousands of dollars every single month. From my knowledge and from what I have known through my experience these three are always going to be the core business models and in 2018 those will grow and open up a lot of opportunities for you and me at the same time. Anyway, I have a lot of people giving me a two and saying that they are interested in learning about digital publishing and all those other stuff. Next week, I am going to do a complete series all about digital publishing because I’ve talked a lot about ecommerce for the past several months. Now, we are going to transition a little, we’ll talk about digital publishing and I’ll also talk about agency at the same time. During these times you will see a lot of activities that’s going to happen. You’ll see some amazing video training. We’ve been working through the holidays just to get all this geared up for every single one of you. If you want to basically make sure that you are on top of this and you’re the first to actually get any of the announcements that I make, make sure you follow me on Facebook and on YouTube. So, with that being said, I actually ramble a little bit because it is New Year and I haven’t talked to you for the longest time so I’m sharing all these updates with every single one of you. Now, let’s move on to the daily huddle. After the daily huddle since today is Tuesday and obviously yesterday was the day that I should be announcing our kick start 500 winner but I wasn’t live and no one would be on Facebook since it’s New Year so right after our daily huddle I will announce our next winner to actually get $500 investment from me directly towards you and our business. Hold on tight to that and see if you are going to be the next winner. [0:16:02] Question 1: What is the best-paid traffic mode you personally use now to make money and build the list? Now let’s move on to our daily huddle which is the most important part, to answer five burning questions. The first question in 2018 is by Davey So, Davey asked:. Hi Fred, what is the best-paid traffic mode you personally use now to make money and build the list? I love that question and the answer is, Facebook and Google. These two are always and will continue to be the dominant players when it comes to pay traffic source. If you’re able to master both Facebook and Google you can easily create a seven-figure empire. Trust me. These two are the main traffic sources right now and it will actually build and be very sustainable. And these are always ones that I will be using. Obviously, there are other paid traffic models out there; things like Bing, Pinterest, Solo ads and these three are just secondary. They’re not going to give you as much volume as Facebook and Google but my primary focus is always going to be Google and Facebook. When it comes to Google it includes search, YouTube, display, contextual, GSP there’s actually a lot more stuff going on into Google than what meets the eye. These are the main paid traffic sources. Again there’s something very massive that I’m going to announce, I’m not going to give away exactly what it is but I’m going to be releasing a free online academy about traffic very, very soon. How many of you guys will be excited about that? Put in the word TRAFFIC right into the comment box if you guys are excited on knowing more about this academy and when we’re releasing. Most importantly it is free; I’m not going to charge you a penny for it. I’m just going to give you my traffic knowledge through that academy and you will learn more about it very, very soon. I’m getting a lot of people saying TRAFFIC right now and I got Karen joining me right now at the same time. 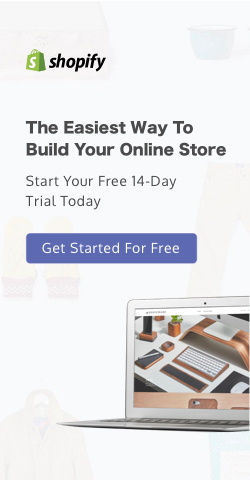 [0:18:15] Question 2: When I put my FB px on my Shopify store and you wish later on add some other custom conversions, do you have to change the pixel again in Shopify or you can leave it as is then it will be taken in consideration by it self? Elisabeth, you have it right. Once you add your Facebook pixel inside Shopify, you don’t have to do anything with it. When you create a custom conversion, it will do it automatically inside Facebook, so you don’t have to do any other work on adjusting the pixel or all those other stuff. All you have to do is simply copy your pixel ID right into your Shopify account and baam, that’s it! You only do it once and that’s all you do and whatever you do in your Facebook account like adding custom conversion, creating audiences you don’t have to actually touch the pixel anymore. [0:19:20] Question 3: Lately I saw Aliexpress advertising directly on FB. Will this be the end of dropshipping? Hi Fred, Lately I saw Aliexpress advertising directly on FB. Will this be the end of dropshipping? The answer is NO and drop shipping will never end. Here’s the truth, I was actually talking to our new brand ambassador and team member earlier today and he was actually asking me about my story and I gave him my entire story background. When I was telling him about that and I finally told him I was like listen drop shipping seems to be like the trend, it’s new yada, yada, yada and it has been existing for like a year or two years and people think that it is going to be the end of it and all those other stuff. The answer is NO only because E-commerce is just going to continue to grow. And if you look at any statistic and according to Statista you’ll see that year over year ecommerce sales are just going to continue to grow because more and more people are more comfortable nowadays to buy stuff online. Here’s the deal, although drop shipping or inventory arbitrage has been “existing” for the last two years but if I were actually top tell you 13 years ago when I started my online venture, I started with drop shipping already. If drop shipping were to die, it would have died like many years ago but it doesn’t. It’s just because that you are now more educated about it so that’s why you may think that oh if I’m educated about it, more people are educated about it. 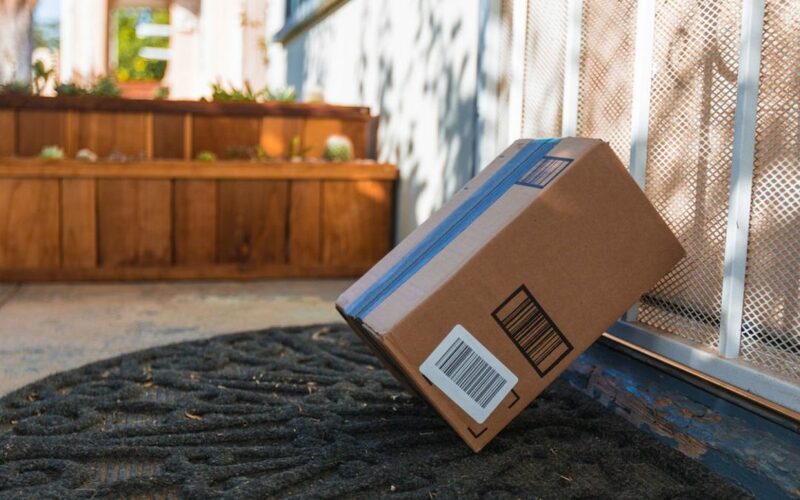 The reality is, if you walk out to the street, go to a mall and just randomly ask a person, “Do you know what drop shipping is?” I can guarantee you a lot of people will say, “I don’t know what it is.” Even Shopify, if you go out to the street and ask someone, “Have you heard of Shopify?” They would tell you no because there are billions of people in the world right now and not every single person actually heard or know about it. And even when Aliexpress advertises which I rarely see, I do see it from time to time but it’s not going to affect anything. The only reason why is because you don’t have to worry about competition or competitors or anything. It all drills down into your own business because that’s what matters. If you continue to get sales, to make profit, to get clicks, to get visitors to your store that’s all it matters. It doesn’t matter if you have the same competitors selling the product. Let’s see an example. Coca-Cola, we think that Coca-Cola is like the most dominant player when it comes to soda. Guess what? Pepsi comes along and they still take a big piece of the pie. Not just Pepsi and Coca-Cola, there are a lot of other brands that sells Coke but at the end of the day they still can make profit. It all drills down to what matters to them. If they are able to make profit, they don’t care if there’s a competition or not because the market is just so massive. You don’t have to care about what happens outside. It matters to your numbers and to your business. Don’t waste your time thinking about this stuff. Focus your time and energy on your own business and focus to figure out how you can generate profit from it and keep testing. [0:23:06] Question 4: Do you laser target, meaning do you search personalities, websites, and brands, magazines > then see what else they will give you in terms of interests, via audience insights? Hi Fred, do you laser target, meaning do you search personalities, websites, and brands, magazines >>>then see what else they will give you in terms of interests, via audience insights? Thanks! Love your content! Yes, that’s exactly what I recommend and that’s what I tell people through my training. You have to start with a smaller market first. You don’t want to go out and attack or advertise to a mass market because it will require you a lot more budget and you are kind of like trying to dominate the ocean when you still haven’t dominated the pond yet. In advertising it is very critical and smart for you to be the shark in the pond because if you start with a smaller market like going after personalities, websites or magazines it will help you understand your market a lot more. And if those super laser targeted audiences are converting for you then you can go to the audience insight search of what else they like and expand your interest from there. However, at the same time if you can’t even get the laser targeted audience to work then there’s no point of wasting time to figure out the ocean and the bigger audience. Again, that’s exactly what I would do if I were you Norm. Use that and start with the smaller audience first. [0:24:40] Question 5: When you start a new store with a fresh Facebook page, is it necessary to get some likes before running ads to build legitimacy? Or you just run ads even though you don't have any page likes? Just run ads. I mean at the end of the day, why would you really want to buy likes? It’s not really needed. Why would you need it? Likes are not going to turn into profit, fair and simple. However, I don’t do it but here’s what I do. A new Facebook page, I don’t care I just advertise right away because people don’t really know how many likes you have since they only interact with your ad. They click on the link; they don’t click on your page. There are very rare amount of people who actually click your page and check out your Facebook page. You have to make sure that people are going to your website. That’s the ultimate goal and you tell Facebook what the conversion is going to be. However, I did say however and the reason why I said however is that if you are starting a new Facebook ad account then run some page likes. Why do I do that? Why would Fred basically say this and contradicting himself? I am not contradicting myself. There’s a reason behind this. I usually run seven-day if it is a brand new Facebook ad account. I’m not talking about the page; I’m talking about an ad account. If it is a brand new Facebook ad account, I normally run $10 a day on light campaigns for a week. That’s like $70. The reason why I run that $70 is because I want Facebook to not trigger the security alert. Obviously, there are a lot of people who fraud the Facebook system getting traffic and then using a stolen credit card or a fake credit card. And Facebook basically got left in the dry because they have to charge back and they are not able to actually receive the money. Facebook is very, very strict about it and that’s why at times you guys make a security alert or Facebook suspend your account and you have to submit your information to them. It is because Facebook is trying to protect itself. Now, when I run a $10 per day light campaign for just 7 days on a brand new Facebook ad account, Facebook basically charged once or twice already so they know that they are actually able to get money from my credit card. Then at that point, I stopped it all and I just focused purely on website conversion ad. That’s what I do. At the end of the day, if you already have an ad account which is running and the just create a new Facebook page, you don’t need to run light campaigns to buy likes because people just interact with your ads, they don’t interact with your page. I hope that really make sense and basically help you guys out with that end of things. Put in the word ME into the comment box if you guys loved my answers for today’s first 2018 daily huddle that we are having. Again, remember, every single day I will be on around this time for our daily huddle to answer five questions that you may have which is about your business or your stuck on something. I will basically get it answered and help you guys as much as I can. At the end of the day, if you want your question to be featured make sure you go to www.fredlam.com/ask. Let’s move on into our kick start 500. Put in the word 500 into the comment box if you guys are excited about this and if you guys are anticipating to see if you are the winner for our kick start 500 today. The winner for our kick start 500 grant this week is Katherine Lacuna. Everyone put in congratulations Katherine into the comment box right now. So, here’s the note that I actually saw. Age is not a number especially when thinking about one’s future. Kathy is 57 years old, retiring in a couple of years and she is hungry to make sure she has a source of income for her retirement. After reviewing her website, I was really impressed on how she set it up. She went up against a few walls but that didn’t stop her. That’s great! When you hit a road block it really just means you have to basically fall down and then learn, conquer the mountain. Her story is very, very long. I’m Kathy 57 years old female from Philippines and about to retire in a few years time. I want to establish a business that I can do and earn from even when I’m retired. I want to do something that will allow me to work at home. Even before my retirement years I dipped my hand in the several online businesses before, PRL writing, virtual assistant, affiliate marketing etc and none of them have been successful. I think the main premise is that I’m not good at marketing and I don’t have necessary skills and knowledge in marketing to be able to promote and sell whatever business I am in. I have already started my drop shipping store recently using word press and a plug-in called Ali drop ship. I have products from Aliexpress all set up and a nice store. My store now is a few months old. It’s interesting. I’m not just inspiring younger audience right now. I’m inspiring someone who is about to retire. Through reading her notes, I remember she basically has a lot of road blocks but she didn’t give up. That’s very important. Back then I fell many, many times. I lost much more money than anyone else because of our stupid mistakes but this is a process of learning. You have to experience failure in order for you to be successful because failure helps you know what you need to actually be stronger in and what you need to overcome to become successful. Everyone congratulate Katherine! Other than that next week on Monday I’ll announce our next kick start 500 grant winner. If you want to be qualified for our kick start 500 grant and be eligible for it make sure you go to www.fredlam.com/500 and there’s an application form for you to sign up. You have to basically spend some time to fill up the application because we need to make sure that you are a serious individual before I invest that $500 towards you and your business. In the next couple of weeks I’m going to give you guys some webinars, some training all about digital publishing so make sure you subscribe to my email list, my YouTube channel and also my Facebook page to actually get these announcements. If you are on YouTube and you want to make sure that you do not miss a single episode of our daily huddle make sure after you subscribe, click on that bell icon so that you get instant notification through YouTube when I actually come on live. Comment below; tell me what you guys think about today’s daily huddle. If you like it, hate it, dislike it it doesn’t matter leave your comment below. I constantly read these to basically see how I can improve, how I can make the daily huddle much more informative and to provide value to you guys every single day. That’s it for today guys. I look forward on seeing you tomorrow, same time 6PM Pacific, 9PM Eastern. Bye now.